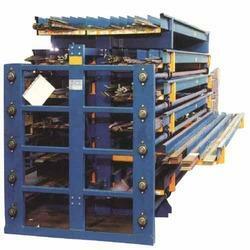 We are a leading Authorized Wholesale Dealer of roll out racks from Hyderabad, India. We are the pioneers in the industry for wholesaling and trading Roll Out Racks, which has earned us huge profits. This product is used for shifting heavy loads in warehouses and stores. It is spacious and is capable of bearing huge quantities of material. Being provided with wheels at the bottom, it is comfortable to use. We are well equipped for handling bulk orders owing to our spacious warehousing. Looking for Roll Out Racks ?